It wasn't easy, with both No. 5 seed Michael Mmoh and No. 6 seed Reilly Opelka needing three sets, but seven of the Top 8 seeds in the 18s division of the USTA National Championships have reached the quarterfinals. The sole player outside the Top 8, No. 12 Eduardo Nava, had the easiest day of the eight, with No. 22 seed Brandon Holt retiring with a hamstring injury down 2-1 in the first set of their round of 16 match. Mmoh's 4-6, 6-4, 6-4 win over No. 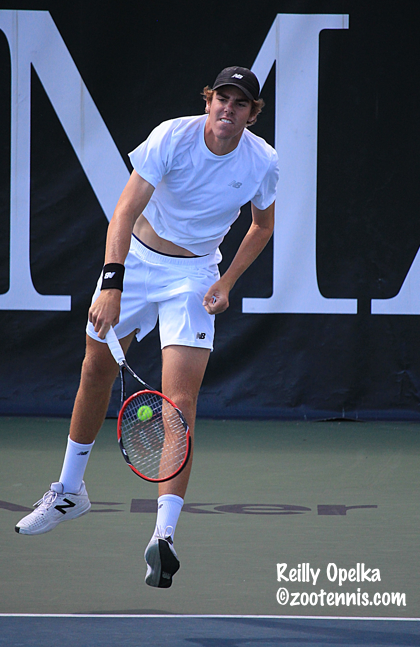 20 seed and 2014 16s champion John McNally required an adjustment from Mmoh, the third-ranked junior player in the world. "He really caught me by surprise," said Mmoh, who is now on a nine-match winning streak after his title at the Godfrey Futures two weeks ago. "He was staying on top of the baseline and just penetrating through the court. I hadn't really played a guy that was that consistent hitting big balls through the court so it was definitely tough for me to adjust. I thought he played really well today, stuck with his game plan, being aggressive and dictating from the baseline." Mmoh said that he found coming forward worked well for him in Godfrey, so he has continued that strategy this week. "I wasn't feeling too comfortable in the baseline exchanges," Mmoh said. "At the Futures, my kick serve was bouncing really high so I was coming in, and it was working really well. These courts are really fast, so I knew I could do the same and it would be effective. Definitely, my serve and volleying and coming to the net won me the match today." Opelka blinked on a volley in the second set of his 6-4, 4-6, 6-3 win over No. 30 seed Nathan Perrone and Perrone seized his opportunity. "That killed me, that volley," Opelka said of his miss at 4-4 in the second. "But also that game was pretty sloppy as well. I double faulted twice at deuce so I was lucky to still have a chance to win that game. But that volley, you can't miss it, especially at that time. But, oh well." His frustration at losing his serve led Opelka to toss his racquet, forgetting that there is no warning for racquet abuse in the USTA rules, as there is in ITF and ATP rules. With Opelka assessed a point penalty for it, Perrone needed to win only three points to send the match to a third set, and he got them. Opelka got a break to open the third set, which relaxed him a bit, although Perrone kept it close. "It got interesting," Opelka said. "I think there was a 30-all game at 4-2 me serving, he had a chance in that game, but other than that it was pretty comfortable in third set." Opelka said he knew he only previous meeting with Perrone, a 6-0, 6-0 win, would not be repeated today on George Acker Court in Kalamazoo. "I was expecting it to be a lot different today," said the Wimbledon boys champion. "It's just different now. But he played well. He didn't miss many backhands and he looked to move his forehand around. He just made it tough for me to attack him. He didn't do anything special, just played a high-quality neutral ball and moved me around a lot, so it was difficult for me to find a ball that I like to hit and move forward." Opelka's opponent in Thursday's quarterfinal, one of two that will be played in the 18s, is top seed Frances Tiafoe, who beat No. 10 seed Nathan Ponwith 6-2, 6-2. "I played him once last year at a Futures and won 6-4 in the third," Opelka said. "Tough match, clay. I haven't played him in a while on hard. We've had plenty of battles for sure, and he's obviously a completely different player now than last year, and so am I. It should be interesting. He's the favorite for the tournament, the guy to beat." Opelka said despite Tiafoe's recent success, his peers are not intimidated. "We think we can beat anyone," Opelka said. "We all have beaten him, so that helps. But obviously. he's tough. He's not Top 300 ATP for no reason, especially now. He's playing really well and he wants to win, wants to play in the main draw of another grand slam, just as bad as anyone else, which makes it even tougher. I'm going to have to play well tomorrow, really well." The other 18s quarterfinal will feature No. 4 seed Tommy Paul, who defeated No. 11 seed Oliver Crawford 7-6(3), 6-3, against No. 7 seed and close friend Alex Rybakov, who beat unseeded Logan Smith 6-4, 7-6(5). Jonathan Kelley of the On The Rise blog is in Kalamazoo, and he wrote this feature on Rybakov after talking with him today after his win over Smith. The Friday quarterfinals will feature Mmoh playing No. 2 seed Taylor Fritz in a first-ever meeting, after Fritz blitzed No. 13 seed Dennis Uspensky 6-0, 6-1, and No. 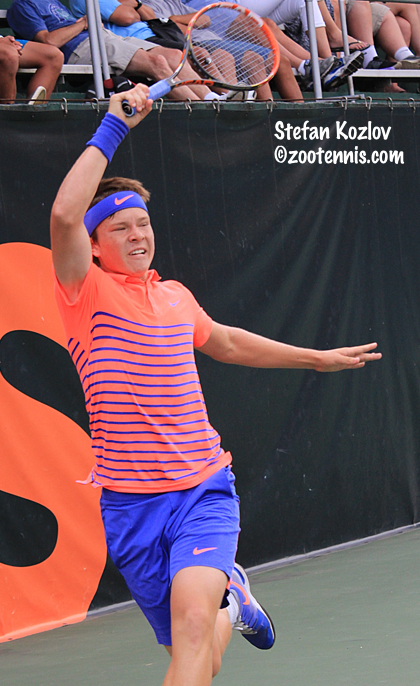 3 seed Stefan Kozlov facing Nava. Kozlov defeated unseeded Michael Genender 6-4, 6-4, the fourth consecutive match in which he has won the same number of games in each set. Kozlov led 4-1 in the final set, but Genender fought back to pull even before the 17-year-old from Florida broke to take the match. "The guy started playing really well," said Kozlov. "We all saw what he did with those volleys and I got a little defensive. I went up 4-1 and he started playing better, but I regrouped and won." Kozlov played his first junior match of the year on Saturday, having spent the rest of the year on the ATP and ITF Pro Circuits. "It's different," said Kozlov, a semifinalist last year. "Obviously I enjoy playing but the first couple of matches are challenging. It's a lot different than Futures and Challengers and stuff and like that. Here I just feel everyone I play just plays unbelievable the first couple of games. I'm kind of over the pressure, I've already lost second round here, so I'm getting mature, dealing with the pressure a little bit better, but it is tough, not to be nervous when you come out here and it's packed and you have all these people watching you. You want to impress everyone, so that's how it goes." The top half of the 16s draw will also have two quarterfinal matches on Thursday, with top seed JJ Wolf meeting No. 25 seed Trent Bryde and No. 3 seed Patrick Kypson against No. 15 seed William Howells. Wolf, who lost his first set of the tournament on Sunday, has had not trouble since and he eliminated No. 22 seed Kevin 6-3, 6-1 Wednesday morning. Bryde defeated unseeded Zummy Bauer in a rare match between two players from the same city, in this case Suwanee, Georgia, 6-4, 6-1. Kypson overcame No. 11 seed Brian Cernoch 7-5, 6-2 and Howells ousted No. 7 seed and 16s Clay Court champion Danny Thomas 6-1, 6-4. No. 16 seed Jason Lui will have an extra day to savor his 6-7(0), 6-1, 7-5 win over unseeded Keenan Mayo, who had eliminated No. 2 seed Jake Van Emburgh in Tuesday's fourth round. Lui was down 15-40 serving at 4-5 in the third set but some brave tennis got him out of that predicament. 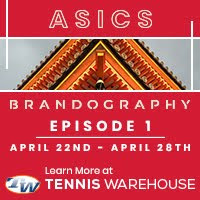 He hit a backhand winner and a good first serve to get it to deuce, but Mayo got a third match point opportunity after Lui made an unforced error. 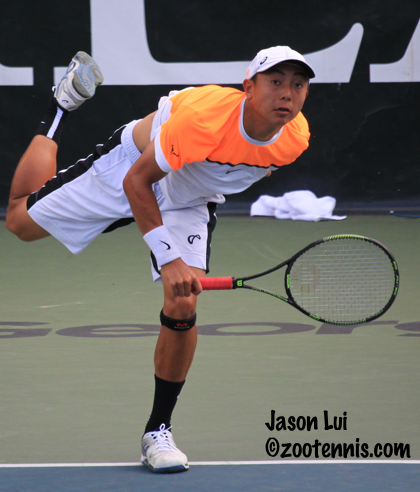 Again Lui went for his shot, crushing a forehand winner, and two points later he had weathered the storm. Mayo double faulted on game point to give Lui a chance to serve out the match, and he did, converting his second match point when Mayo's forehand went long. "I just listen to what my coach says," said Lui, a 16-year-old from Bellevue, Washington, who trains with Brian Park at Sand Point in Seattle. "He tells me to focus on what I need to do, not the outcome. I just kind of let it go, and didn't think about losing the match, all the other what-if stuff. I just played my game, but i got kind of lucky at the end, with his double faults." Lui had never played on Stowe Stadium's George Acker court, while Mayo had beaten Van Emburgh there on Tuesday. "This is my first time, to play on one of these stadium courts, and I've never played with a crowd like this before," said Lui. "So I was a little bit tight, but I got more comfortable as the match went on. I'm really relieved right now. I was really nervous the whole third set to be honest." Lui will play No. 8 seed Kyrylo Tsygura on Friday, after Tsygura defeated unseeded Sean Hill 6-1, 6-3. "I've never played him in a singles match, just a doubles match," said Lui. "But that was a long time ago. I'm just going to have to play my game and see how his is and adjust to it in the match as it goes." The other quarterfinal on Friday will be between Alexandre Rotsaert, the No. 4 seed, and Sean Sculley, the No. 5 seed. Sculley defeated No. 9 seed Carson Haskins 6-4, 6-3 and Rotsaert downed No. 26 seed Trey Hilderbrand 6-4, 6-2. The semifinals are set in the 18s doubles, after the Dinner at the Nats quarterfinal session was completed Wednesday night. No. 6 seeds Joshua Sheehy and Parker Wynn defeated No. 9 seeds Rybakova and Nava 6-1, 7-5 and will meet No. 12 seeds Crawford and Johnathan Small, who beat Liam Caruana and Sameer Kumar, the No. 16 seeds, 6-3, 7-5. No. 6 seeds Holt and Riley Smith defeated unseeded Blaine Boyden and Grey Hamilton 6-1, 6-4 and will face No. 2 seeds Fritz and Opelka, who beat No. 15 seeds Martin Joyce and Gianni Ross 6-3, 6-0. The 18s doubles semifinals are scheduled for Friday, with the 16s doubles quarterfinals on Thursday. The complete draws are available at ustaboys.com. At the girls 18s in San Diego, top seeds Tornado Alicia Black and Usue Arconada have reached the round of 16, but No. 4 seed and Wimbledon quarterfinalist Michaela Gordon was eliminated, with Brienne Minor, a 17 seed, beating her 6-2, 6-4. The 16s quarterfinals are set, with top seeds Natasha Subhash and Victoria Flores still alive. The TennisLink site has all the results. In the Czech Republic, both of the USA's 14-and-under teams have advanced to the semifinals of the World Junior Tennis competition by winning their round robin groups. 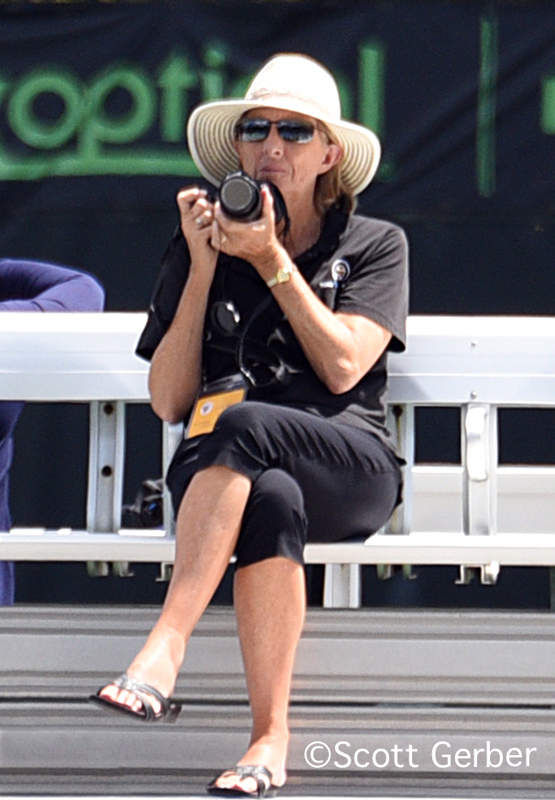 For more on the final day of round robin competition, see the ITF junior website. Any idea where Rybakov would go to college? Given that school starts up in a few weeks, he'd need to decide pretty soon. Can anyone explain how Brandon Holts hamstring hurt too bad to play singles, yet was fine for doubles? Was Opelka ill or something against Tiafoe today? How does he miss something like 20 backhand returns off Tiafoe's kick serve when he's 6 ft. 11? The ball couldn't have been too high for him? And, what was his first serve percentage in the tie-breaker, zero percent? Perhaps he's much better on clay and grass vs. hard courts. Really puzzling.